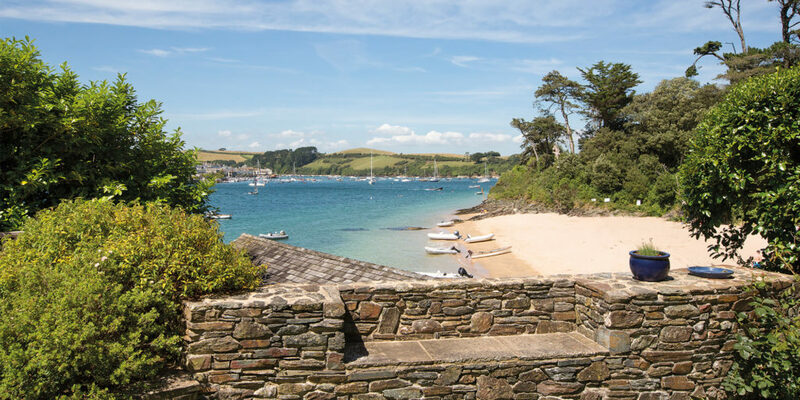 This month, our selection of wonderful seaside stays takes us to Salcombe and Kentisbury. Waterside is a magnificent property that offers you the chance to experience the luxury of seafront living to the full. 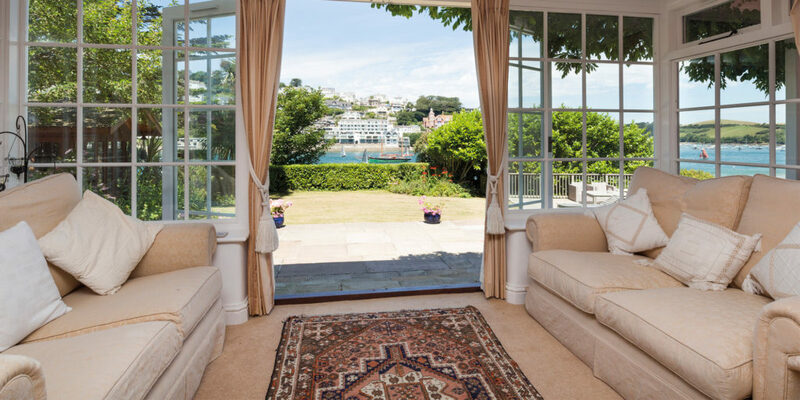 The beautiful villa-style property is attractively and comfortably furnished throughout, with large French doors making the most of the views and wood finishing providing a nautical feel. The extensive garden has a well-kept lawn and there’s plenty of space to relax and enjoy a good book on the sun-loungers, only disturbed by a gentle sea breeze. A fabulous watch point juts out into the estuary, giving spectacular views up and down the water, from where you can watch the world float by as you enjoy the sights and sounds of the sea. The steps to the right of the garden lead down to the sandy beach, meaning getting the kids packed up and onto the beach couldn’t be easier. A mooring also allows you to bring or hire a boat and make the most of this marvellous location; simply lift up the anchor and explore the beautiful beaches and creeks of the Salcombe estuary or alternatively take the ferry to Salcombe town for excellent watersports, restaurants, bars and shops. With space for up to ten guests, this is a very special property for families and friends to make unforgettable memories and enjoy an incredible holiday right by the water’s edge. This beautiful, 350-year old property is the perfect country escape. The village of Kentisbury has all the amenities close to hand with a village shop and award-winning restaurant, The Coach House, within walking distance. Popular surfing beach Woolacombe is only a 20-minute drive away, from which you can enjoy the long stretch of golden sand and stroll along miles of the South West Coast Path. Whether it’s on foot, by bike or on horseback, exploring the heather clad moorlands of Exmoor is also a definite must. 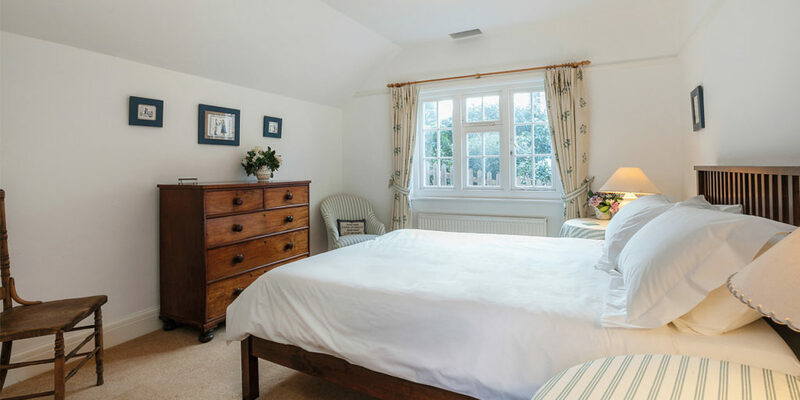 The cottage itself has been tastefully renovated and thoughtfully furnished throughout. A large open-plan living space features a bright lounge with exposed wooden flooring and a cosy woodburner to warm you up after a day spent hiking across Exmoor’s atmospheric moorland, and the recently refurbished kitchen provides you with all the space you need to cook up a storm. Plus the games room has beanbags, table football and a pool table to keep the kids entertained. Enjoy a refreshing glass of white wine on the garden terrace and look out at the surrounding countryside as the shadows lengthen and day turns to night. Ford Hill Cottage is the ideal choice for those looking for a luxurious escape in a beautiful location. 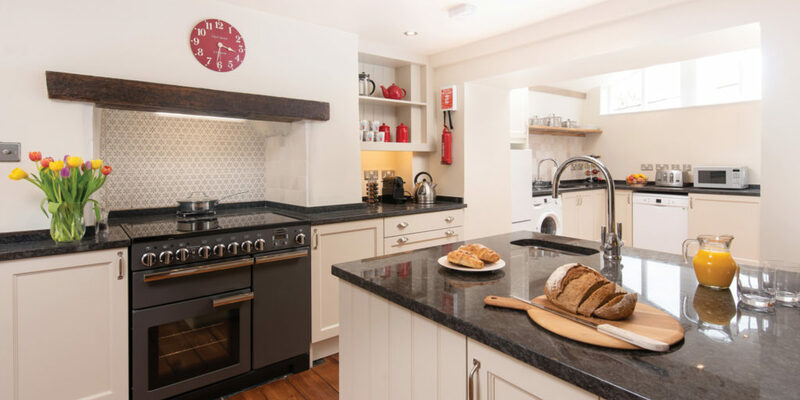 With three bedrooms and stunning self-catering accommodation, the cottage is perfect for families and groups of friends looking to explore the very best of Devon and Exmoor.